With magnificent panoramic views across the bay, this family-run hotel has a superb location on the cliff top and offers free parking and comfortable en suite accommodation at great-value rates. Within easy reach of all that Bournemouth has to offer, the Inn on the Cliff has a quiet, peaceful location on Bournemouth's East Cliff. 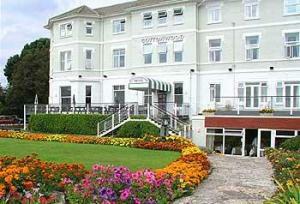 The landscaped gardens lead out on to the cliff top, from where it is a short stroll down to the town's golden beaches. Bournemouth railway station is just a 10-minute walk away. Free on-site parking is available for guests' use. 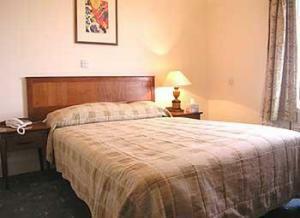 The hotel offers single, twin, double and family rooms, all of which are en suite. Every clean, comfortable and spacious room has a telephone, tea/coffee making facilities, a TV, a radio alarm and a hairdryer. Many rooms overlook the bay. 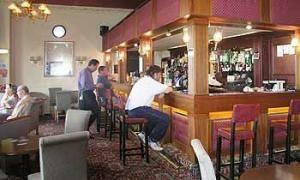 The hotel's large terrace bar serves a wide selection of meals and beverages, including real ales. The sun-drenched terrace overlooks the picturesque gardens with panoramic views across the sea. A full bar lunch menu is served from 12:00 to 14:00. 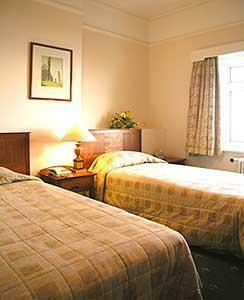 Family-run, the Inn on the Cliff prides itself on offering a warm welcome, friendly service and tasty home-cooked food.